Curitiba was cold. Before the sunlight could touch the streets I was already looking for walls to paint peacefully. 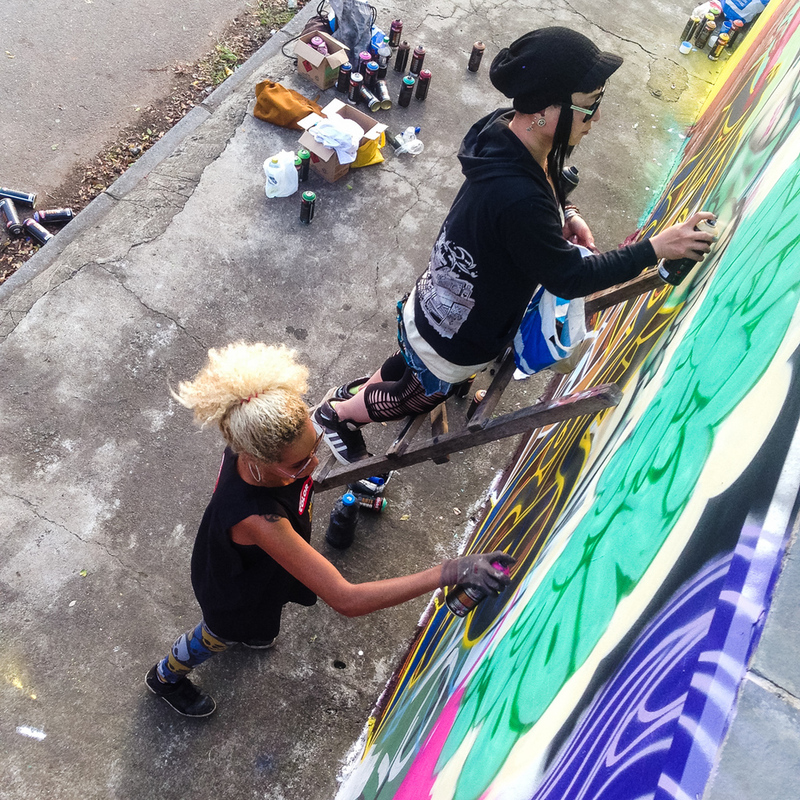 We found a beautiful spot, giant wall for what initially would be only 3 artists. In a few minutes the crowd got together, and shook on that wall, joining different languages and styles that complemented each other in improvisation. Before the sunsets, more Graffiti family joined us, bringing together people from all over the world ... a mix of accents and regional characteristics that only the Graffiti translates. So happy to make the register of everyone who was on the wall ... NIKA, AK47, SHIRO, TON, CRICA, TED, ISE, JOTAPÊ, TIÃO and KBEÇA ... with the shinning presence of PAKATO, WOW, JOHNYC, MONTILA, JRCAM, NOMES, BIGOD, NIKOL and EDI. Long life to the Worldwide Graffiti Family. Curitiba estava fria. Antes da luz do sol tocar as ruas a gente já estava procurando muro livre pra pintar sossegado. Achamos um pico lindo, parede gigante para o que inicialmente seriam somente 3 artistas. Em poucos minutos a galera se aglomerou, e nos apertamos naquela parede, juntando diferentes linguagens e estilos que se complementaram no improviso. 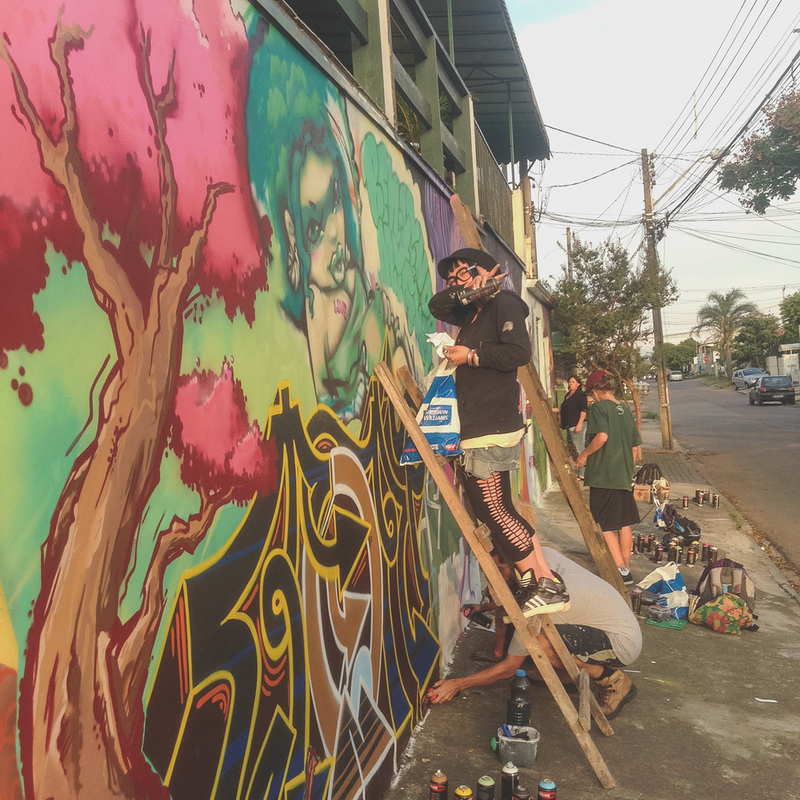 Antes do por-do-sol, a família do Graffiti se juntou, reunindo gente de tudo que é canto do Brasil e do mundo ... um mix de sotaques e características regionais que só o Graffiti traduz. Felicidade fazer um registro de todos que estavam no muro ... NIKA, AK47, SHIRO, TON, CRICA, TED, ISE, JOTAPÊ, TIÃO e KBEÇA ... com presença mais do que ilustre de PAKATO, WOW, JOHNYC, MONTILA , JRCAM, NOMES, BIGOD, NIKOL e EDI. Vida longa à Família Internacional do Graffiti.